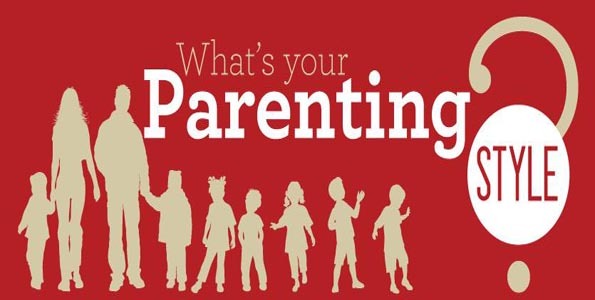 A parenting style is the method of teaching, disciplining, and showing affection for children by which our children learn right from wrong, how to behave, and what is expected of them. Extensive research has been done to discover how parents control their children and the extent of a parent’s control. There are three main categories of parenting styles; much like Goldilocks, there are two extremes and one that falls in the middle. An authoritarian parent will set the rules and standards, expect obedience and punish or scold until standard is met. This style seldom offers explanations or allows questions from the children. “Because I said so,” is a common phrase heard by these parents. Children raised with an expectation of total obedience usually have poor social skills and low self-esteem. When working with these children one should praise them often for their good choices to build up their self-esteem. Also, be patient when the child is in group situations; help them improve social skills by role-playing situations like how to respond to and play with another child at the playground. A permissive parent is always thinking about the child’s happiness and never wanting to disappoint. Therefore, permissive parenting bows to a child’s desires, makes few demands and little to no punishment. This style could also be called child-centered or child-lead parenting. Children who learn that their parents will accommodate and indulge them tend to be insistent, possibly aggressive, and immature. Anyone who does not accommodate or indulge will likely experience the child throwing a tantrum. If this happens an alternative to giving into the demands is to, first, be sure that the child is not hurting themselves or others (i.e. throwing self to ground, thrashing limbs, or throwing objects). Next, choose to briefly ignore the tantrum until it subsides. Then calmly explain that he/she will not receive what they are demanding and offer two choices of behavior. Offer a positive choice such as playing with a different toy. The other choice should be one that is an acceptable response in which their emotions are displayed but under control such as sitting in a chair until it is their turn to play with the toy. The negative behavior will repeat, but do not be discouraged because it will become less frequent as the child learns to accommodate others instead demanding from them. An authoritative parent is “both demanding and responsive. They exert control by setting rules and enforcing them, but they also explain the reason for the rules. With older children, they encourage open discussion when making the rules and allow exceptions (Myers, p.189).” Children growing up in this environment are often confident, independent, and sociable. When taking care of a child from an authoritative home, you may encounter the question of “why”. These children are accustomed to being informed, so remember they are not necessarily questioning your authority. The best approach is to give an age-appropriate explanation. 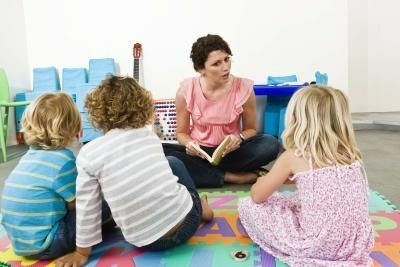 In a preschool setting, during story time, you have told the children to sit quietly and a child asks you why, a reasonable explanation is, “It is story time and everyone wants to listen to the story”. Remember when caring for a child, they are responding in a way that they have learned is acceptable based upon their experiences. It takes consistent reinforcement and praise of the desirable behavior to change, so be patient and persistent. Myers, D. G. (2013). Psychology. (10th ed.). New York City: Worth Publishing Company.